BOXING is back and it’s been a long time coming. The Tasmanian Boxing League Inc and the Brighton Boxing club will host the state titles at the Brighton Civic Centre on Saturday November 9 starting at 7pm. This is an amazing venue and will be used a lot more in the future. This will be an action packed fight night because all of our clubs representatives will be gearing up for their shot at the Australian Amateur League titles from November 28 over three days in Bendigo Victoria. 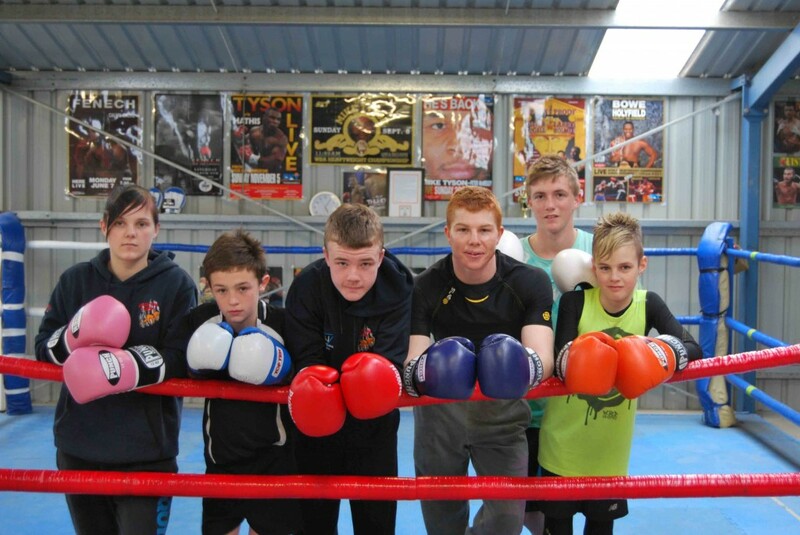 Brighton Boxing Club will have five boxers competing. From left, Krystina Jacobs, Connar Walker, Brodie Gregson, Jacob Daureen, Tyler Thornton, Talyn Devine who are all featured in the Golden Gloves tournament at the Derwent Valley Sports Centre New Norfolk. BRIGHTON Council’s serious concerns at the impact of the Department of Education’s proposed changes to school enrolment have drawn the ire of Education Minister Nick McKim who claims the amendments are not about taking freedom of choice away from parents. SANTA Claus is coming to this year’s Brighton Show next month. The show on Sunday November 10 at the Pontville Grounds, is now only a few weeks away and planning and final touches are well underway. There are many new attractions this year. Some of the crowds from last year’s event. Santa will be in the kitchen area of the main hall and will have photo sessions at various times during the day. Times will be listed in the Hall foyer on the day. Once you have had photos taken you can then buy a USB stick with photos on it to allow you to organise your own photo printing. There will be a number of cooking and craft items along with a photography section and classes for males and for children. A variety of stalls will be set up in the main area of the hall along with the popular deer display. Brighton Primary artwork and colouring competition entries will also be in the hall foyer and the main area of the hall. The light horse display will again be held on the main oval, which was well-received last year. Working in the same area will be a new display and demonstration on trick riding by a young and enthusiastic group of riders. The main arena will have many other additions and changes this year including a boxing and karate display. The animal nursery, including animals from the Jordan River Learning Federation School Farm, will be at the top end of the oval along with the return of Brian Fish and his working bullocks. Rosedale Stud will also put on a great display and demonstrations and draught horses will be holding events in this area along with the miniatures. Alpacas will be on display along with spinning demonstrations. The vintage machinery will display old and working machinery. Southern Tasmanian Torana Car Club will be on the grounds along with the Hobart vintage cars. The ute competition will be held and weather permitting these cars will be on display on the bank near the main oval. The show will be opened by the new Member for Lyons, Eric Hutchinson at 10.50am. The baby quest through to our show ambassador will be held on the main arena and will begin at 11 am. New sections have been added this year and will now cater for twins. Tickets ($5 per person) for the various classes will be on sale from around 10.15am on site. A baby change and feed area, sponsored by Southern Childcare Services, will be close to the quest area. The Brighton Primary School choir will perform on the main oval and the Bob Scott Pavilion will house the pigeons, poultry, stud sheep, dairy goats and fleece competitions and nearby will be the pet guinea pig show. There are four smoking areas around the grounds and these along with evacuation points will be marked on the map available at the gate on entry. The preferred entry gate is in Glen Lea Road. Parking on the grounds is free with gate ticket purchase. The front gates on the Midland Highway are closed to vehicle traffic from 8.45am (other than emergency services) and after that time will only be available to walking patrons. Early bird tickets and family passes will be available until November 7. Call in to the Brighton Post and pay and collect tickets or you can phone the secretary on 0407 507 265 to arrange. Early bird tickets and family passes are $20 (two adults and three children) – a great saving of $15. 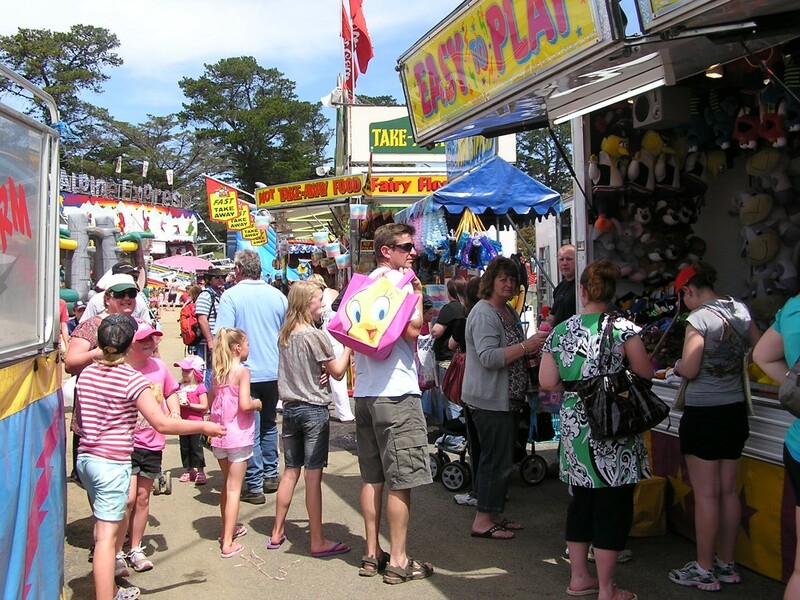 Gate charges remain at $10 adult, $5 pensioner (with card), $5 for children. There will be no charge for children six years and under. Disabled parking is again available but please enter through the Glen Lea Road first gate entrance and ask the parking attendants for assistance. We would again like to thank the Brighton Council for its help and assistance in making the grounds available to us – the largest community event in the area. BRIGHTON council is organising special celebrations to mark the 150th anniversary of the founding of the municipality.